The weather is warming up, school is out and summer vacations are right around the corner! Millions of Americans will be out and about in and traveling around the country including: New York City, Los Angeles, Chicago and Miami. Don’t miss out on putting your brand in front of the millions who will be working out, walking the halls of America’s malls, having a bite to eat at their favorite restaurants, or grabbing a cold one with good friends. DOmedia’s hot new media sellers will put your brand at the forefront of the summer lifestyle, allowing you to advertise in prime summer locations. From the streets of the Big Apple to health centers, to malls and restaurants, we have it all. Check out our newest sellers who arrived just in time to suit your summer advertising needs! If you are looking to make a splash in the Big Apple, OTR Media Group is the company for you. Based in New York City, New York, OTR owns bulletins, wallscapes and spectaculars in prime NYC locations that are sure to catch the eyes of tens of thousands of vacationers all summer long. Take your campaigns to the next level by taking a bite out of the Big Apple with OTR Media Group! To many, summer is a time to get outside, exercise and work on home improvement projects, but unfortunately for some, many of these excursions may end in a hospital visit. 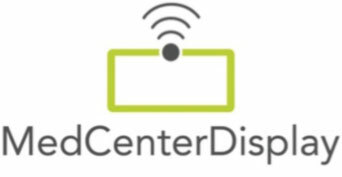 Fortunately for you, MedCenter Display, based in Brentwood, Tennessee, can provide a healthy media solution with their digital networks located in health care facilities. From New York to Los Angeles, Chicago to Houston, MedCenter Displays can provide the care you need to cure your advertising ailments. Buy, buy, buy!! Every year, millions of consumers flood the hallways of America’s malls to find the newest and hottest trends. These mall goers are already in buy mode, why not help them along by putting your brand at the forefront of the buying process? Make your brand a mall star this summer with GSM Worldwide media! Their digital spectaculars bring brands to life and can be the nudge mall goers need to shop your brand! Welcome to one of the most unique and creative advertising mediums of 2013! Admobilize.com can connect your brand with those who already love it and want to share it with those around them. By projecting your brand in their car or mobile tablet, your current consumers can become mobile advertisements wherever they go! Put your brand in motion, and send it to the ends of the earth with Admobilize.com! Why restrict your brand to a single location, when you can put it on wheels? DrivAd allows those who already engage a brand to spread it to everyone around them. By allowing users to sign up and pick the brands they want to represent, DrivAd creates new connections between new customers and the brand while reinforcing the brand loyalty of current consumers. 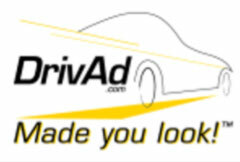 Take your brand on a ride with DrivAd, and find yourself cruising down Revenue Road! Looking to advertise in New York and Chicago? Mullan-Media has all the bases covered! From taxis to ferries, social media to shuttle buses, Mullan-Media can help your brand reach millions of Americans in two of the most popular summer destinations! Whether taking a taxi to Wrigley Field or riding a ferry to watch the Bronx Bombers, do not miss out on putting your brand at the forefront of the action!